Classic character gets a contemporary makeover in Sunpan’s Marlin Dining Chair, a versatile piece for various motifs. Featuring a classy-meets-casual aesthetic that conveys understated elegance and low-key luxury, the Marlin Dining Chair by Sunpan is available in your choice of upholstery styles, and crafted to last of quality materials. Embellished with the eye-catching gleam of silver nail head accents, the Marlin Dining Chair is also generously cushioned for maximum comfort. Features bonded leather with CA foam for supreme comfort. 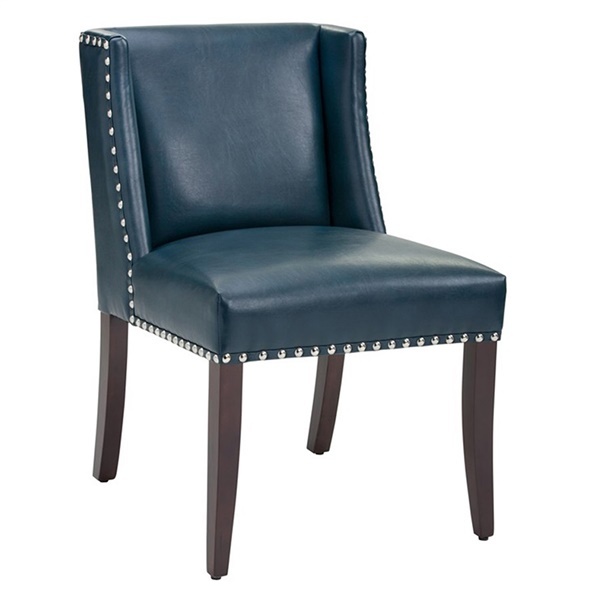 Wing back accented with large silver nailhead that will dazzle consistently. Wood frame delivers outstanding support.